When we enter a business school, we expect to learn a lot. There are learnings coming from everywhere, the professors, the competitions, and most importantly the peers. But, we get these things in every top B-school, what is it about Jamnalal Bajaj that makes this college special. Apart from the exceptional faculty whose experience comes straight from the industry and the rare opportunity to interact with the best students all across Maharashtra, we get certain added benefits that other colleges don’t. The college is located in the heart of the financial capital of the country and we get an opportunity to interact with the companies located near our college easily. The prime location of our college enables us to get involved in multiple events happening across the city. 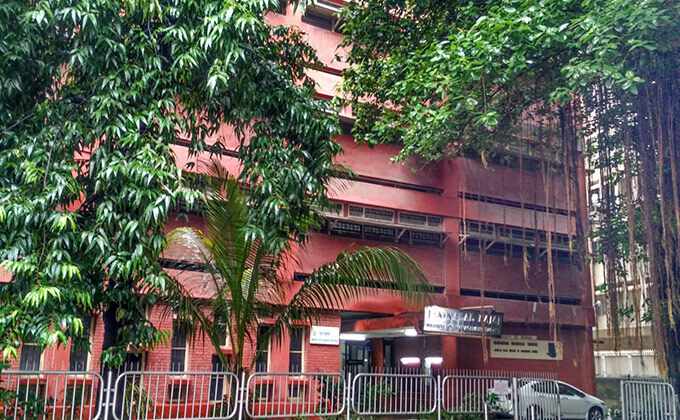 But, one thing I like about our college which is quite unique but you won’t find mentioned in many of the reviews is that the college is very close to the best place in Mumbai i.e. the Marine Drive. Relaxation is a very important part of life as well, when you’re stressed after attending lectures after lectures and completing assignments after assignments, we have the perfect spot to relax and take out all our stress. The feeling you get when you sit at the Queens necklace after a long tiring day is something which cannot be described in words. Aditya Birla Group, being one of the oldest conglomerates in India having its headquarter in Worli, Mumbai is involved in various sectors and industries such as cement, textiles, telecom, fashion, financial services etc. But, the sector in which I would like to work in the Aditya Birla group is its financial sector i.e. Aditya Birla Capital Limited. Jamnalal Bajaj Institute of Management Studies is an institute which is famous for its management students who specialise in finance. The alma mater of famous alumni like Mr. Uday Kotak, Mr. Sandeep Gokhale, Mr. Shivanand Mankekar and many more who are renowned in the field of finance. I would very much like to take inspiration from them and be a successful finance professional. With Aditya Birla Capital Limited being the holding company for all financial service businesses of Aditya Birla Group, I feel that it would provide me with the perfect opportunity to learn a lot of things across various fields in the financial sector and would give me a platform to implement them in real world applications as well. With the company being so huge, it would provide me with ample of opportunities to grow professionally.